"The Óscar Romero Award is given for truth and freedom... our guiding values. They imply justice and peace." Since 1986, the Rothko Chapel has given an award to unsung heroes who are working under extraordinary circumstances to advance human rights. The award includes a $20,000 unrestricted cash stipend given to the winner and/or organization. The 2015 Óscar Romero Award was the thirteenth such award given. As in the past, this award holds the conviction that securing basic dignity and freedom for people worldwide requires that individuals and organizations challenge abuse from the grass roots. This Award is named in honor of Archbishop Óscar Romero of San Salvador, who was murdered on March 24, 1980 because of his opposition to violence and his courageous defense of the poor in his country of El Salvador. 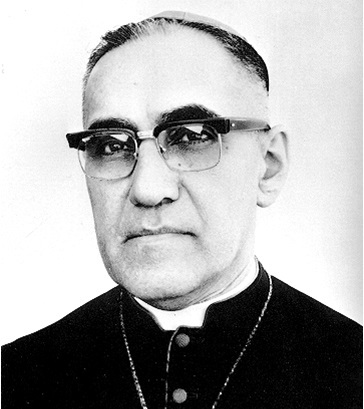 "Óscar Romero has become a symbol of the gaze not averted, the heart not stifled, the voice not silenced in the midst of oppression, death, torture, militarism and intimidation of many kinds. He is a symbol of something perhaps most important of all, a fundamental truth, that having come to knowledge of the sources of great wrong, truth requires a set of responses that will require pain but which suggests a moral journey that is inescapable."